Load the boat from your back door and be on the river in minutes from this upgraded waterfront beachside townhome with a private deep water boat slip jut steps from the screened porch where you can watch dolphins and manatees pass by. 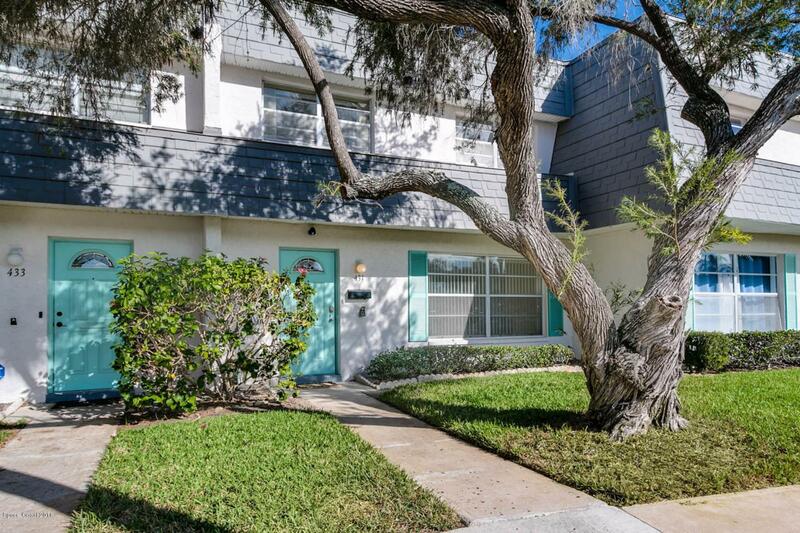 Just a couple blocks from the beach , close to A rated schools, shopping and immediate access to 95 for a quick trip to all that Orlando has to offer make this townhome very desirable. Where else will you get all of this for this price? HOA includes water, sewer, trash, grounds maintenance, insurance, pool and tennis courts.